The smoking penalty under the Affordable Care Act has drawn criticism for effectively pricing people out of insurance. Eric Jones has an incentive to end his trips to the party store for cigarette tubes and tobacco, the roll-your-own supplies used to fill his pack-a-day habit. The 40-year-old has no health insurance from his $9-an-hour job at an ice-manufacturing plant in Lansing. Under the federal health care law, he's eligible for help from the government to buy insurance. But to qualify, he'll almost certainly have to quit smoking. A baseline insurance plan could cost Jones, who makes $22,000 working seasonally from February to November, $775 a year in premiums. Or he could pay no premiums in the cheapest plan, which has higher deductibles and copayments. Yet if he keeps smoking, he could face an annual financial penalty ranging from $1,600 to $1,900 that will make coverage unaffordable. The numbers were estimated using the online Kaiser Health Reform Subsidy Calculator. "I'd rather have health coverage than cigarettes, if it comes down to it," Jones said. The law requires insurers to accept all applicants regardless of pre-existing medical problems. But it also allows them to charge smokers premiums that are up to 50 percent higher than those offered non-smokers — a way for insurers to ward off bad risks. Jones is not without health problems. He said he should be taking medications for gout, high blood pressure, high cholesterol and severe acid reflux but instead just suffers through his conditions. "I can't afford them," he said. "So I just don't take them." Jones, who first smoked at age 12, has tried quitting. He stopped about four years ago with no help from nicotine patches or gum. But he started up again this year. "Everybody around me was smoking except my wife. Everywhere. All my friends," he said. Nearly one of every five U.S. adults smokes. That share is higher among lower-income people such as Jones, who are more likely to work in jobs that do not offer health insurance and are a major reason the law was enacted. 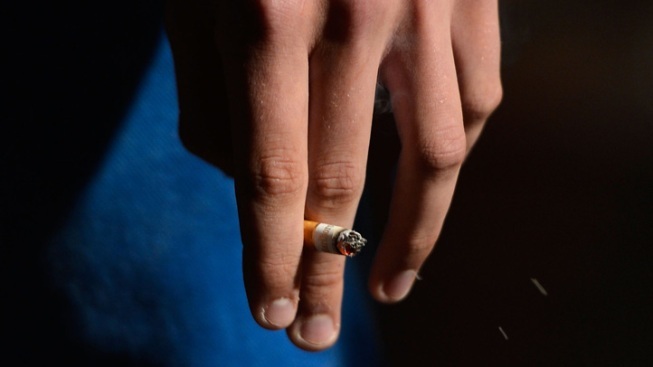 The smoking penalty has drawn criticism for effectively pricing people out of insurance. Jones already is worried that he won't be able to afford insurance even if he does quit. He has trouble paying the rent. He takes the bus from rural Charlotte 20 miles each way to work in the city every day. Yet if Jones keeps smoking, he said there is no way he could afford the estimated $1,600 yearly smoking penalty in the least expensive plan, equaling 7 percent of his income. Michigan is not among the few states that have banned tobacco surcharges on their insurance marketplaces. At least in the interim, Jones may get some relief. A glitch will limit penalties that insurers can charge smokers until it's fixed next year. The government's computer system has been unable to accommodate a provision that prevents companies from charging older customers more than three times what they charge younger adults and the provision letting smokers be charged higher premiums. In addition, Jones and other smokers newly insured through exchanges or Medicaid will benefit from requirements that tobacco cessation treatments be covered. Experts say with the prevalence of high tobacco taxes and workplace smoking bans, those able to quit more easily already have done so. Long-time smokers such as Jones — who wants to quit but has found an inexpensive way to keep the habit — usually need nicotine replacement therapy and classes. Jones spends under $10 a month to roll his own cigarettes with a machine. But he's taking notice of the penalty that could keep him without insurance. "I guess it's an incentive to quit," he said. "I'd much rather be able to take care of myself, take proper meds than smoke cigarettes."